If you listen to podcasts like I do or watch regular screencasts or would like to do so in the future you should consider using gPodder. gPodder is a simple, open source podcast client written in Python using GTK+. In development since 2005 with a proven, mature codebase. While I relax and even sometimes when I work I want to listen to something in the background. The music fits my needs most times and when it doesn’t there are Podcasts to occupy my mind and imagination. 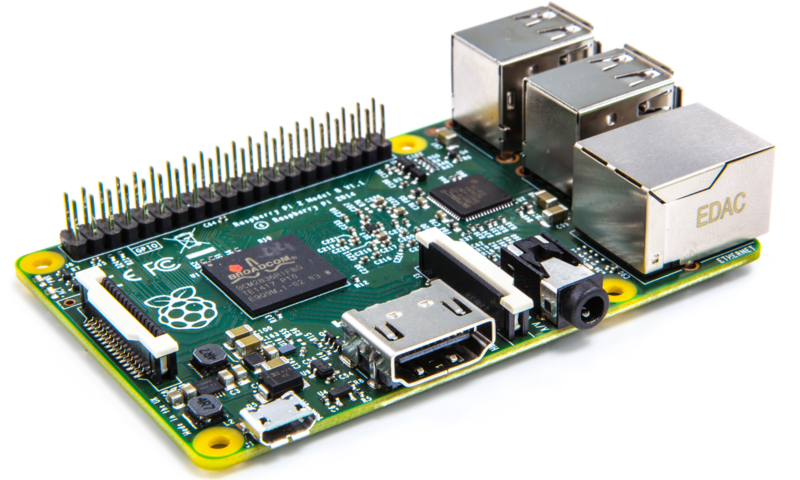 It works on Windows, macOS, Linux and even on the Raspberry Pi, quite nicely in fact. You can create an account at http://www.gPodder.net, it’s free, and you can sync what you listen to across all of your devices. I have my work Windows system, my at home Linux Mint system and my Raspberry Pi 3B+ all synced together and running gPodder. It’s easy to install and you can watch the video below for step by step of the setup process so you can do the same. Before you know it you will also be listening to things that could capture your imagination. So let’s get started! Today’s video was recorded with the RESPEAKER and SimpleScreenRecorder. As you can see this works very well on the Raspberry Pi. I use this software daily on many different platforms and the fact that it works so well makes it easy to recommend to all of you. So that’s it for another blog & video. I hope you have enjoyed what your have seen. If you’re watching this video on YouTube please press the like button, if you haven’t subscribed please subscribe, and I hope to talk to you again very soon! VYM (View Your Mind) is a tool to generate and manipulate maps which show your thoughts. In this video, I will show you how to install and use this incredible program on your Raspberry Pi. I have included the completed map that I created in the YouTube video below so you can see the value of creating these kinds of Mind Maps. I have been drawing mind maps most of my life. Some people call it “Theory Crafting”, some people call it “Story Boarding” and they are all related somewhat in concept and design. What makes VYM, View Your Mind so useful is that it is FREE, it works very well on Raspbian and the Raspberry PI and you can share it with others. It is another program that makes the whole Raspberry Pi experience great! Have fun installing it, using it and taking your ideas and sharing them with others in a whole new way! Catch you next week! Audacity is an easy-to-use, multi-track audio editor, and recorder for Windows, Mac OS X, GNU/Linux and other operating systems. I have installed it on a Raspberry Pi 3B+ and it works very well. Today I will show you how to install Audacity using the SimpleScreenRecorder software and the RESPEAKER. So what is Audacity & what can it do for you? Audacity can record live audio through a microphone or mixer, or digitize recordings from other media. Import, edit and combine sound files. Export your recordings in many different file formats, including multiple files at once. Supports 16-bit, 24-bit, and 32-bit. Sample rates and formats are converted using high-quality resampling and dithering. Support for LADSPA, LV2, Nyquist, VST, and Audio Unit effect plug-ins. Nyquist effects can be easily modified in a text editor – or you can even write your own plug-in. Easy editing with Cut, Copy, Paste and Delete. Also unlimited sequential Undo (and Redo) in the session to go back any number of steps. Real-time preview of LADSPA, LV2, VST, and Audio Unit (macOS) effects. Plug-in Manager handles plug-in installation and addition/removal of effects and generators from the menus. Tracks and selections can be fully manipulated using the keyboard. Large range of keyboard shortcuts. Spectrogram view mode for visualizing and selecting frequencies. Plot Spectrum window for detailed frequency analysis. The setup I have created here is going to be a good foundation for future videos and tutorials. The microphone to me is a must for what I want to do and the RESEAPKER does that very well. Hopefully, future models of the Raspberry Pi will have an onboard microphone and make this setup even easier for the masses. Catch you next week!